Twitter has suspended an account with thousands of followers for violating its policy against “fake and misleading accounts,” after it posted a brief clip of the now-notorious encounter between a Native American elder and several high school students wearing Make America Great Again hats. 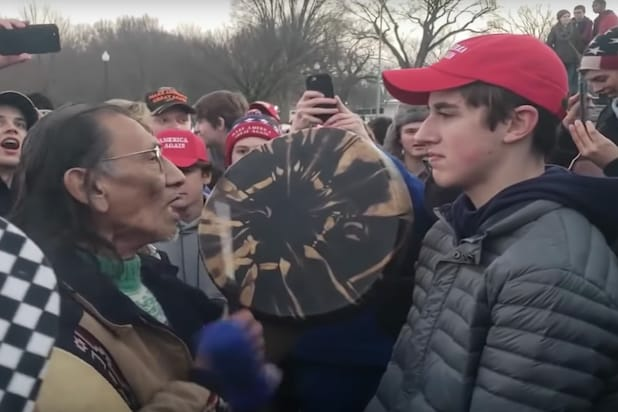 The @2020fight account, which had more than 40,000 followers before it went offline, shared a minute-long video of the incident between Nathan Phillips, a Native American veteran, and protestors from Covington Catholic High School at the Indigenous Peoples March last week. The video sparked an outcry on Twitter, with many users calling the students racist and pushing for their personal information to be leaked online. The clip shared by @2020fight was retweeted more than 14,000 times and racked up 2.5 million views. The account was suspended on Monday afternoon, however, after CNN Business noticed the account was not authentic. The account had a profile picture of a Brazil-based blogger, despite claiming to be run by a California schoolteacher named Talia. A Twitter spokesperson, after confirming the account had been suspended, did not tell TheWrap how long the account would be offline. “Deliberate attempts to manipulate the public conversation on Twitter by using misleading account information is a violation of the Twitter Rules,” the spokesperson added. The @2020fight account was a frequent poster before its suspension, averaging 130 tweets per day since it was opened in late 2016, according to CNN. 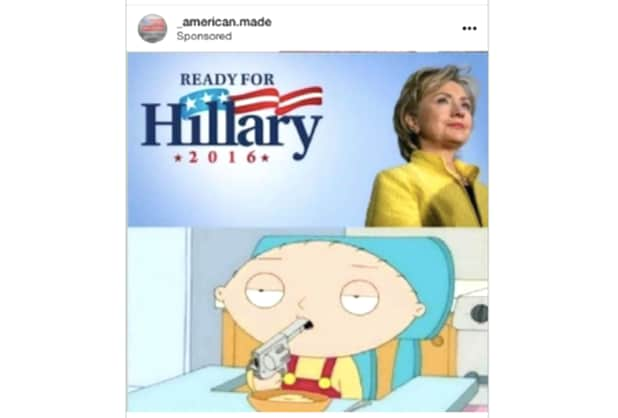 Molly McKew, an information warfare researcher, told CNN the account’s video was amplified by a network of bot accounts. Twitter, like many other social platforms, has looked to combat the spread of fake news following the 2016 U.S. election. The brief video outraged many this past weekend, with many users blasting one teenager for smirking in Phillips’ face. A GQ writer called on his followers to doxx the teenagers — a claim he later retracted — and a Vulture writer expressed his wish to see them die. Hollywood producer Jack Morrissey tweeted a graphic image (inspired by “Fargo”) imaging the Covington students being fed into a wood chipper, something he later apologized for. Comedian Kathy Griffin also called for her followers to doxx the teenagers. “I want NAMES. Shame them,” tweeted Griffin. A much longer version of the incident later caused many to reconsider how they viewed the situation, though. A widely-shared article from Robby Soave at Reason.com on Sunday indicated the students, rather than intentionally invading Phillips’ space, were approached by him as he was banging a drum. The two-hour long video, as Soave pointed out, also called into question whether the students chanted “build the wall,” as Phillips claimed, or said anything racist.